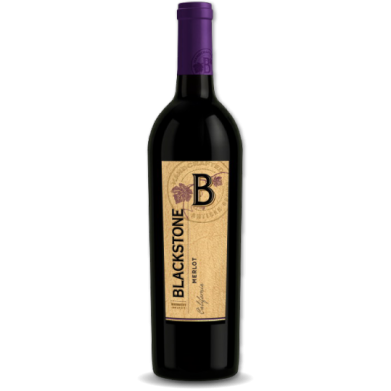 BLACKSTONE MERLOT for only $8.98 in online liquor store. Our Merlot shows rich blackberry, plum, and raspberry flavors with hints of vanilla and toasted French bread. Merlot is one of the five principal grape varieties of Bordeaux and the most widely planted. It is capable of producing some of the highest priced, most sought after elegant wines in the entire world but Merlot has captured the attention of the everyday wine consumer because of its fresh, ripe fruit appeal.